Sungmin from popular 13-member boy band “Super Junior” has been cast in a new KBS drama which will premiere next month. Feel-Lime EG Entertainment, producer of the drama, announced through a press release Monday that the singer will play the son of a president in an upcoming series titled "PRESIDENT” starring veteran actor Choi Su-jong. 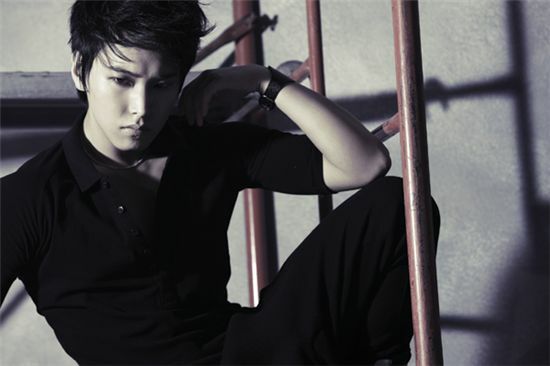 Sungmin will star as a graduate student who wishes to follows his father’s footsteps to become a politician. In the story, however, his attempts to help with this father’s election campaign only gets him into trouble for using means that are less than justifiable. "PRESIDENT" will not be Sungmin's first attempt at acting -- he played the young-version of one of the main characters in MBC drama “Sea of Sisters” in 2005. The upcoming drama will be the first role he takes on as a grown-up. “PRESIDENT,” about civil rights lawyer Jang Il-joon's (Choi) journey to presidency, caught additional attention for the casting of actress Ha Hee-ra, the real wife of actor Choi, as the first lady. The drama will air Wednesdays and Thursdays starting December 8 after “Fugitive: Plan B” starring Rain and Lee Na-young ends its run.